A major selling point for Peru family vacations is the kid-friendly fare you’ll find on menus and in markets throughout the country. From food-focused museums to hands-on cooking classes and easily accessible local food traditions, Peru is an excellent destination for foodies and the family. 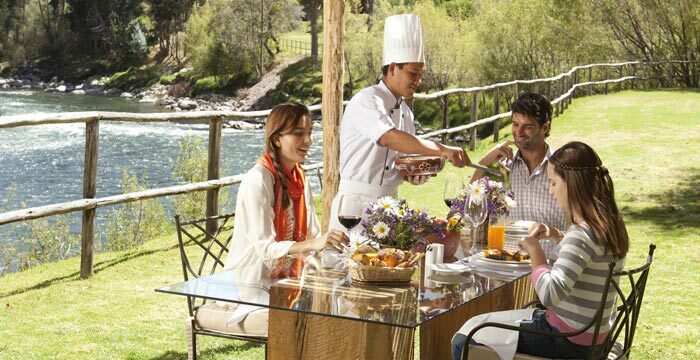 Discover Peru’s world-renowned cuisine together. Few things are as likely to put a smile on little faces as the mention of the word chocolate. 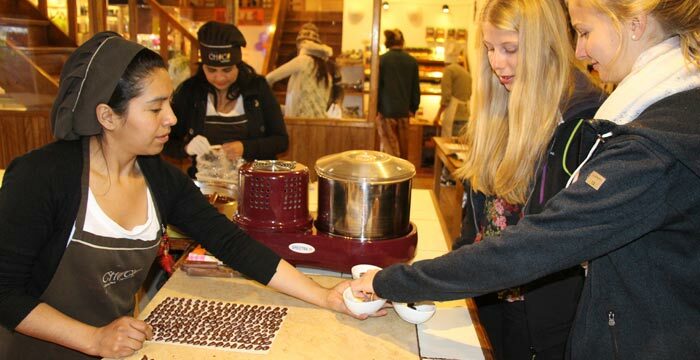 With locations in both Lima and Cusco, the Chocolate Museum is an ideal addition to a Peru family trip. It’s not all about stuffing your face either; there are interactive bilingual exhibits documenting the history of chocolate and explaining how chocolate and its by-products are made, as well as a hands-on workshop where you and your family can create your very own bars using cacao beans and butter that is, where possible, locally sourced. After the workshop, families can head to the gift shop to pick up sweet treats for friends back home. Just in case your sweet tooth isn’t satiated, stop by the café for a frothy hot chocolate and an indulgent chocolate dessert. For an even more immersive experience, Kuoda can arrange for families to take part in cacao farm tours and homestays through the museum as well. Lest you’ve been living under a rock, you’ve probably heard some of the hype surrounding Peruvian cuisine, but you’re probably less au fait with the astounding number of indigenous ingredients. Food-loving families on a personalized trip of Peru can get a primer on Peruvian foodstuffs at La Casa de la Gastronomia Peruana, a food-focused museum located in the old post office building, just one block from the Plaza de Armas in downtown Lima. 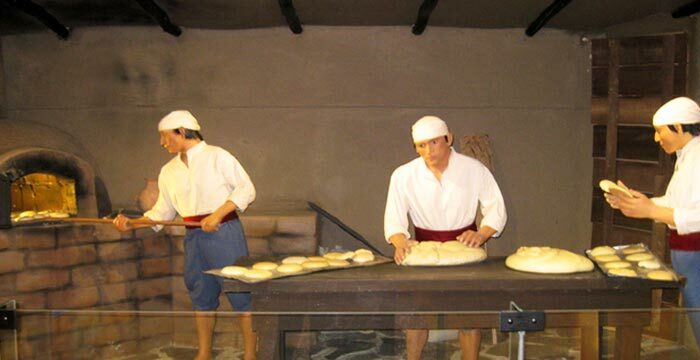 Kids will be kept engaged with colorful, life-size exhibits that trace the history of food in Peru and by videos showcasing the time-honored farming techniques that are still used by Peruvian farmers today. Individual ingredients, such as potatoes, sweet potatoes, corn and bananas, are all given their time to shine with dedicated exhibits, while a map helps visitors navigate which regions of Peru the different ingredients and cooking styles come from. English-speaking guides are on-hand to help explain the exhibits for those who don’t understand Spanish. We recommend going before lunch. The exhibits here will help you work up an appetite! After visiting the Museum of Peruvian Gastronomy, you’ll be perfectly placed to embark on a private tour of Lima’s historic downtown. Contact Kuoda to find out more about this activity and how you can fit it into your family tour to Peru. 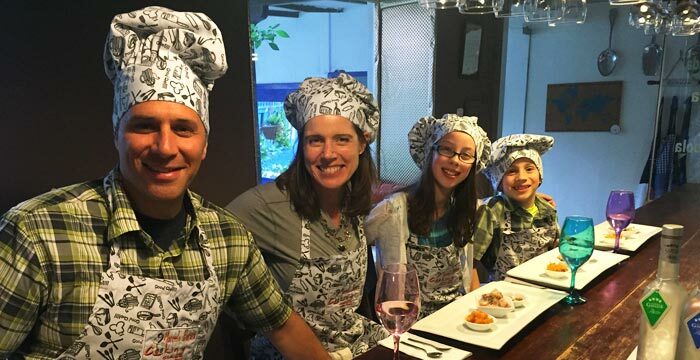 Kids tend to favor hands-on activities over look-but-don’t-touch attractions, which is exactly why a family cooking class is a great way to keep the younger members of your brood occupied and entertained during your Peru family holiday. You’ll be taught about Peruvian food and cooking techniques from the renowned chefs at Marcelo Batata Restaurant, who have more than 30 years combined experience in professional kitchens. They’ll set up a faux market, where you and your family can discover Peruvian foods, some of which you’ll have cooked with before and others with which you might not be familiar. Get to grips with Peruvian superfood grains such as quinoa and kiwicha, as well as chocolate and hot peppers, before biting into some delicious exotic fruits. Next, head for the kitchen where you’ll be schooled on the art of Peruvian cooking. Working with your family, you’ll prepare an amuse bouche-style appetizer designed to awaken the palate. For mains, it’ll be alpaca saltado, a classic Peruvian dish made by stir-frying strips of alpaca tenderloin with onions, potatoes and tomatoes. Adults will also learn how to make a delicious cocktail using Peru’s staple spirit, pisco. And, of course, you’ll get to try everything you make! Peruvians hold two things very dear to their heart, family and food, so it comes as no surprise that an activity that includes both of them is so popular. On a typical sunny Sunday, the grassy meadows outside of Sacsayhuaman in Cusco are covered with enthusiastic Peruvian picnickers. Groups are gathered, rugs are rolled out, and impressive food spreads are unpacked as the locals prepare to while away the afternoon eating, relaxing, flying kites, and kicking around soccer balls. Getting involved in the fun during your Peru family trip is simple. Simply ask Kuoda for help – we’ll be more than happy to arrange the whole family picnic experience from finger food, gourmet sandwiches, desserts, and chicha morada (a sweet purple corn beverage), to utensils, picnic blankets, and seating. All you’ll need do is sit down and soak up the atmosphere! Foodies all over the world make the pilgrimage to Mistura to sample the best Peruvian edibles. 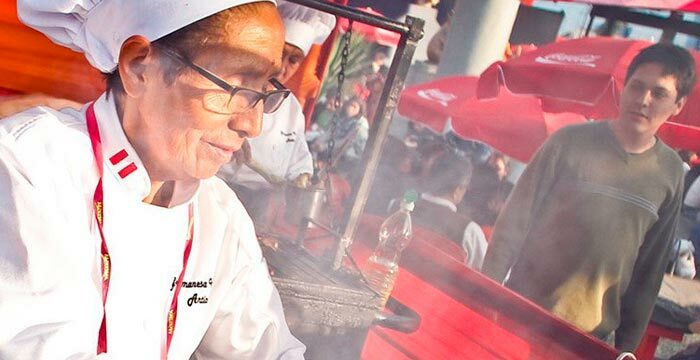 The largest food festival in Latin America, Mistura sees chefs, bakers, restaurants and food producers of all kind arrive en masse in Lima every September to show off their gastronomic goods. Of course, Peru’s culinary credentials are no secret – the country’s cuisine has been lauded internationally. And as word spreads of the wonders of Peruvian food, so too have visitor numbers, and in 2015, a whopping 400,000 hungry attendees came to Mistura. Every year, Mistura has a different theme. 2015 was all about artisanal foods, with small businesses such as food trucks, craft distillers and specialty producers dominating the line-up. The best producers at the festival are awarded prizes, and competition is stiff; sampling the prize-winning wares is a good way to discover some truly world-class grub. The winners often shoot to fame afterward as a result of Mistura accolades. Families with an affinity for good food won’t want to miss this event, which has something to suit all palates, from child-friendly sweets to spicy dishes better suited to more developed gastronomic tastes. With cooking demonstrations, live music and traditional dancing, the event is always lively and colorful, with more than enough stimulation to keep children engaged. Considering a family trip to Peru in September? Inquire with the expert travel professionals at Kuoda Travel to arrange attendance at the Mistura Food Festival. It’s held in the seaside district of Magdalena del Mar, just a 15-minute cab ride from Miraflores. As of 2015, prices were eminently reasonable, with entrance fees set at eight soles and plates starting at six.